Illinois Secretary of State Jesse White speaks at Normal West on Thursday, April 12, 2018. 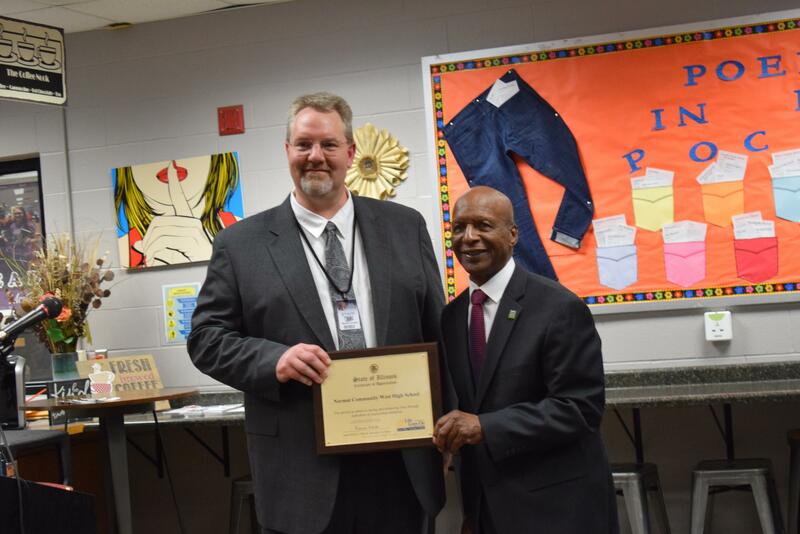 Illinois Secretary of State Jesse White presenting Normal West Principal Dave Johnson with a certificate for dedication to organ donation. 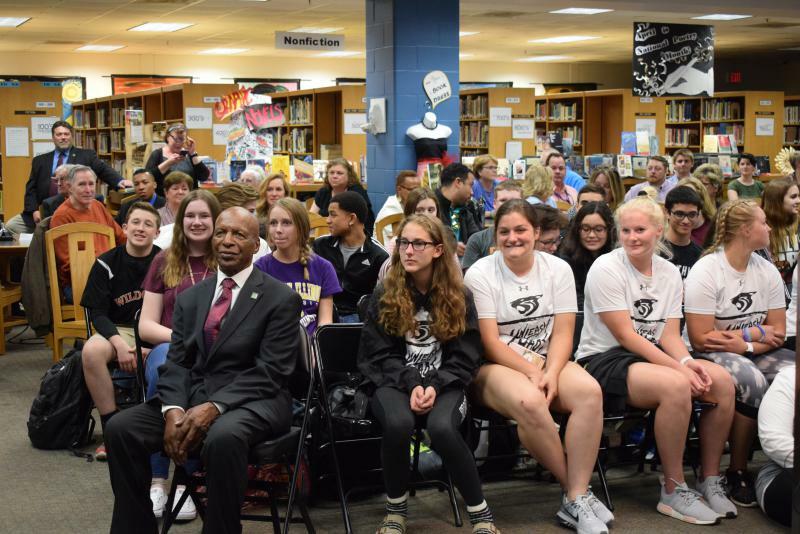 Illinois Secretary of State Jesse White sits with Normal West students. 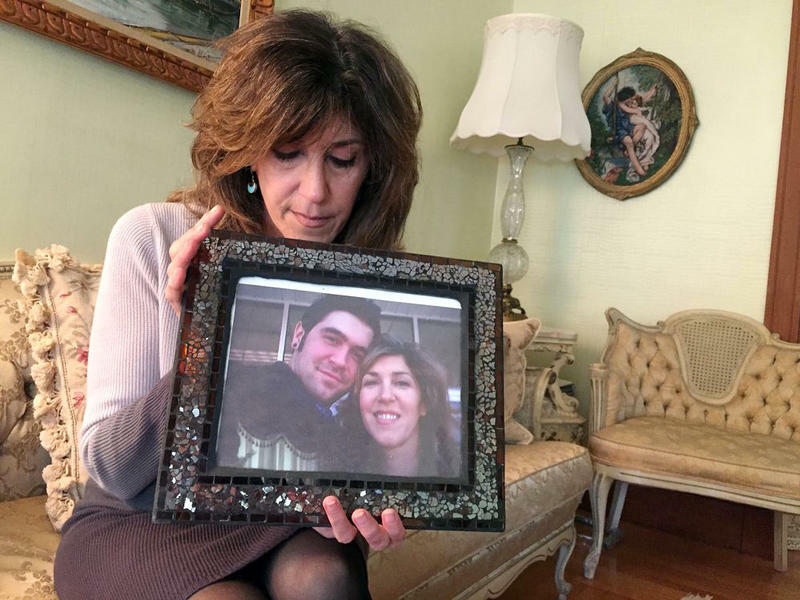 A Bloomington-Normal tragedy is being held up as an example of the help a new law provides for those in need of organ transplants. 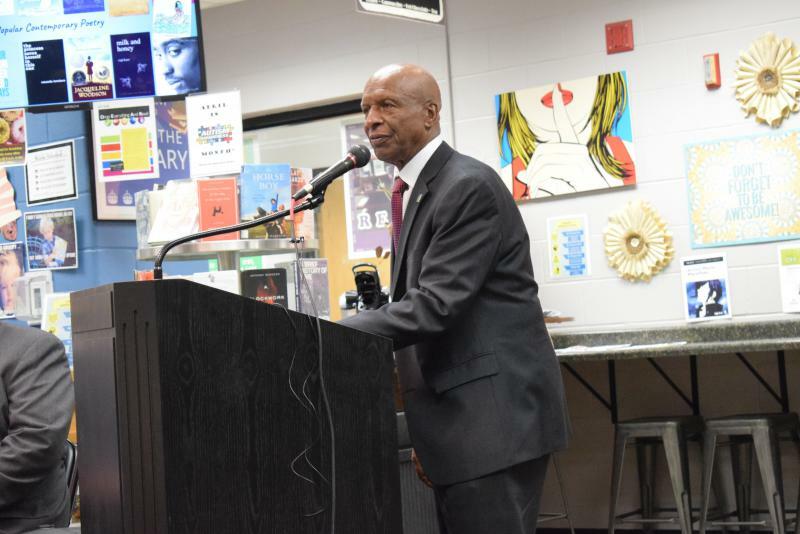 Illinois Secretary of State Jesse White spoke at Normal Community West High School on Thursday afternoon about a new law that went into effect in January. 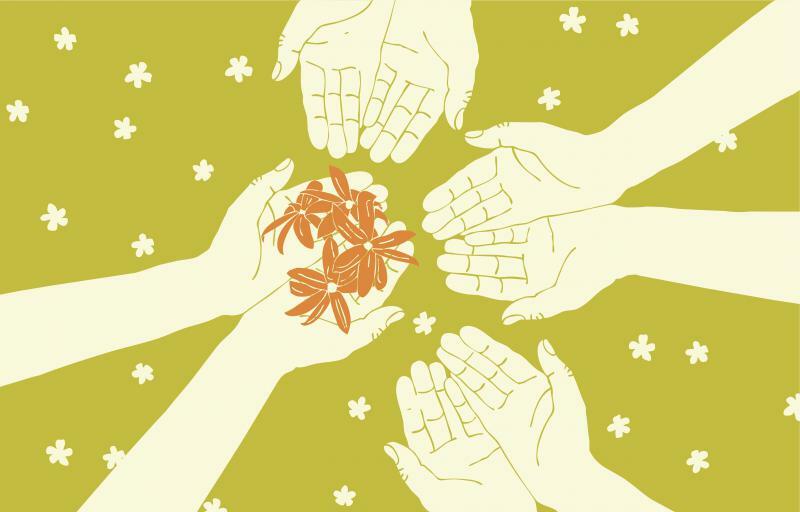 The law allows 16- and 17-year-olds to be on the organ and tissue donor registry. 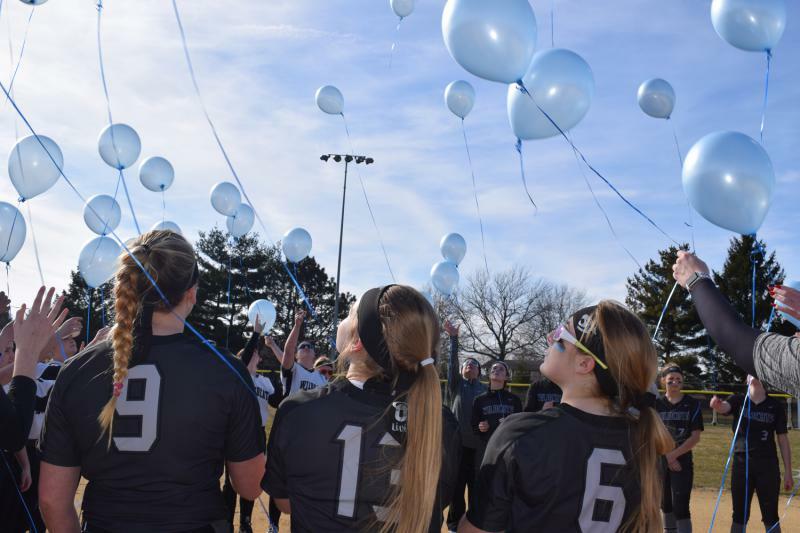 White said 17-year-old Normal West student Livi Sonetz, who died after a car crash last month, was one of many who signed up under the new law to become an organ donor in the event of her death. “Since Jan. 1, we have another 11,500 who have signed up, and every day, the numbers are increasing,” White said. White said Sonetz helped bring life to many other people because of her act. He added this is just one example of how America’s youth are becoming more and more engaged in society. “Teens are speaking loud and clear all across this country, not only about the organ tissue donor program, but about things that are happening on a social level in this country,” White said. Parental consent is still required for organ donations from 16- and 17-year-olds, but White says they can be matched faster because of the law. There is a funeral service for Ashley Theriot in Pensacola, Fla. today. She was just 32, and a gifted freelance writer. The death of a vibrant young person is a tragedy in all ways. But the person who dies can leave a gift for someone else to go on. That can be a flesh and blood blessing. Ashley Theriot returned from Colombia on Jan. 1 and began to have seizures. She turned out to have a rare tear in the artery of her brain stem.